Hundreds of people turned out in Cobham for the annual Christmas Extravaganza as the Village Christmas lights were turned on. The event started at around 4pm with local choirs and dance groups performing followed by a parade of light with a marching band. 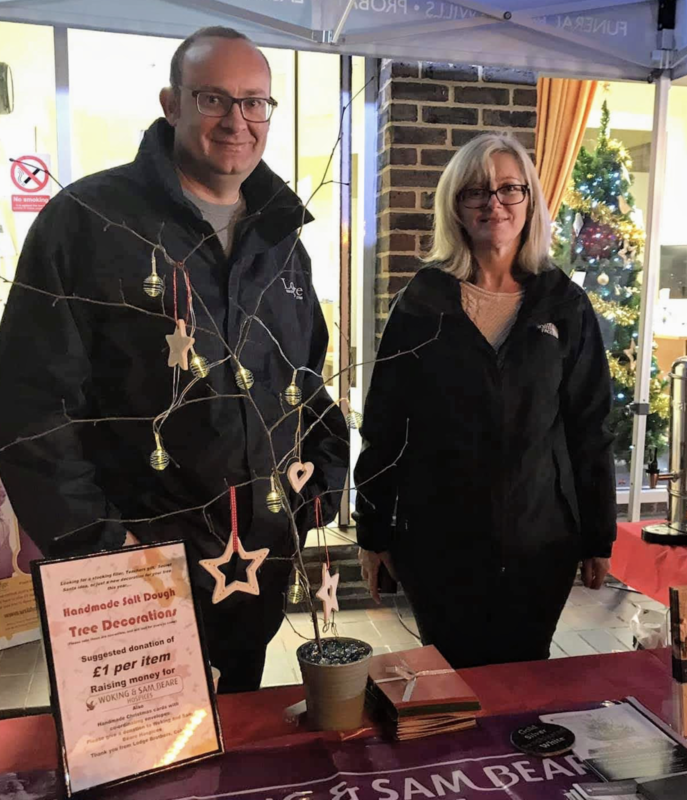 Claire Nightingale and Paul Bye of Lodge Brothers Cobham joined other local businesses offering Christmas themed market stalls, they offered festive hot chocolate drinks and handmade Christmas Tree decorations made by Claire, who is the branch funeral arranger, in return for a donation to Woking & Sam Beare Hospice. Thanks to the local residents of Cobham the evening saw Lodge Brothers raise £117.00 for the Woking & Sam Beare Hospice.